This is for my nephew. He came home from work yesterday and had no sound. We ran SFC /scannow in command prompt, ran DISM in command prompt. We tried to uninstall the graphics card and sound devices. No good. We even did a complete uninstall and re-install of Windows 10 and nothing. I had him re-seat the graphics card and still nothing. We also went into admin tools and went to services and there is nothing listed for Windows Audio and there should be, he only had 2 things listed for Windows. 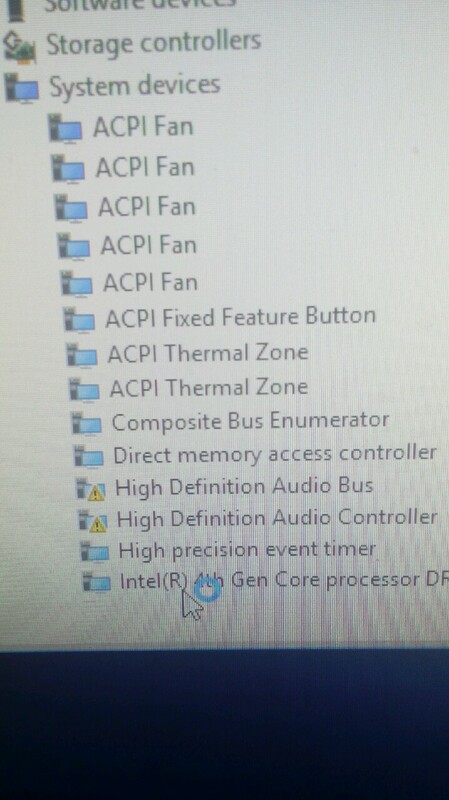 After the reinstall of Windows, the Windows Audio and Windows Audio Endpoint options did appear and they both say running and both are set to automatic but still no sound. Ran Windows update and graphics card update and still nothing. The HD Audio serial bus and HD Audio Serial bus controller have yellow triangles next to them. (See image) Scanned for hardware changes, checked for updates and it did not fix it. Did you try to download audio drivers from the motherboard manufacturer website directly? He bought a USB sound card and it resolved the issue. What would cause it to go though? Motherboard? Graphics card? Here graphics card is not the issue because you talking about audio problem. May be the onboard audio is faulty or you did not find suitable drivers (yellow triangle in device manager is meant for that) for your audio device in your motherboard. Can you post the screen shot of your device manager after installing USB sound card?